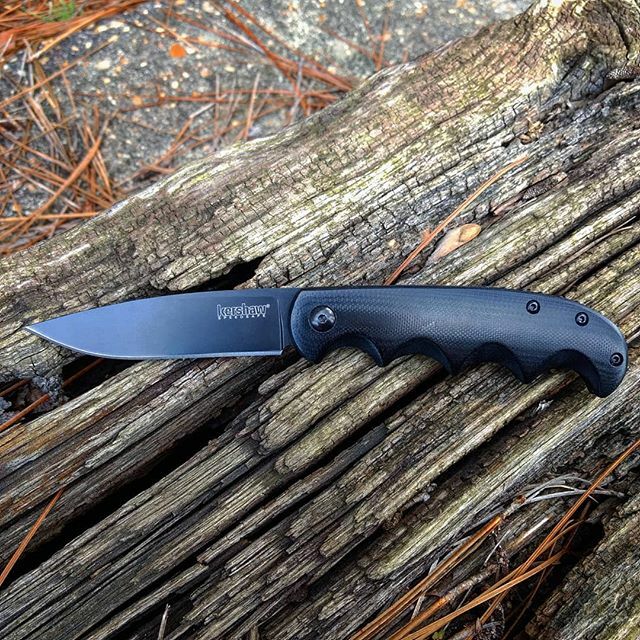 Kershaw AM-5 2340. Wake up each morning and grab your AM-5, it will be your new best friend. 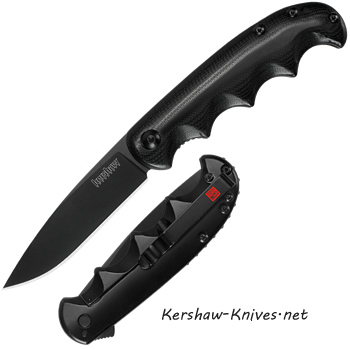 The AM-5 has been designed by AL MAR™ KNIVES and then manufactured by Kershaw who kept in mind quality and good prices. The AM-5 can be embraced by all, because it is affordable and the largest in the family of the Al Mar AM series. Open it up with the flipper on the back of the handle and grip it good with the four finger grooves on the handle. The front of the handle has G-10 scales which are crowned and polished for a smooth feel and classy look. The back is pure steel with black oxide coating and a frame lock system. Black pocket clip in a single position deep-carry, right, tip-up. The blade is 3.5 inches long and made with 8Cr13MoV steel and black-oxide coating. Deciding which knife to take with you in the AM just got easier with the AM-5.